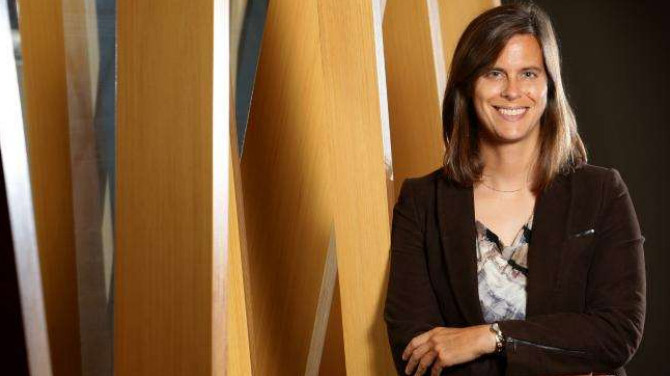 Stephanie Moroz is chief executive of start-up battery company Nano-Nouvelle. Pic: Darren England. A DECADE ago Stephanie Moroz was working in the heart of the world’s automotive industry in Germany, helping develop fuel cells for Mercedes-Benz motor cars. Now the Canadian-born engineer lives on the Sunshine Coast where she is chief executive of start-up battery company Nano-Nouvelle. The company is one of a band of start-ups working on new generation batteries that could power everything from cars to homes. Nano-Nouvelle recently was named by venture capital firm H2 Ventures as one of the country’s top tech pioneers for commercialising a new and more powerful lithium ion battery. The award means Nano-Nouvelle joins Atlassian, Xero and Canva as one of the top 50 technology firms in Australia and New Zealand. Ms Moroz’s company has developed a way to manufacture a new battery membrane that can boost the energy storage capacity of lithium ion batteries by as much as 50 per cent. Lithium ion batteries are used to power devices from mobile phones to electric cars. Last year, Nano-Nouvelle closed a $3.7 million financing round with, among others, renewable energy entrepreneur Simon Hackett.